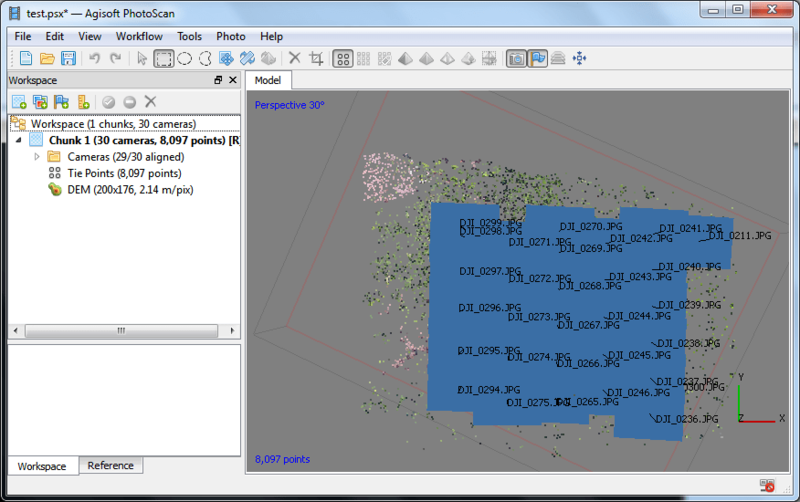 Agisoft Photoscan Professional is a powerful tool to process aerial images into many outputs such as Orthomosaic photos, DEM, Dense Cloud and some others. If you own drone, or any other devices that can take pictures from the air, you can turn your photos into Orthomosaic photo which has geographical information on it. Orthomosaic photo can be opened on any GIS software for further usage. 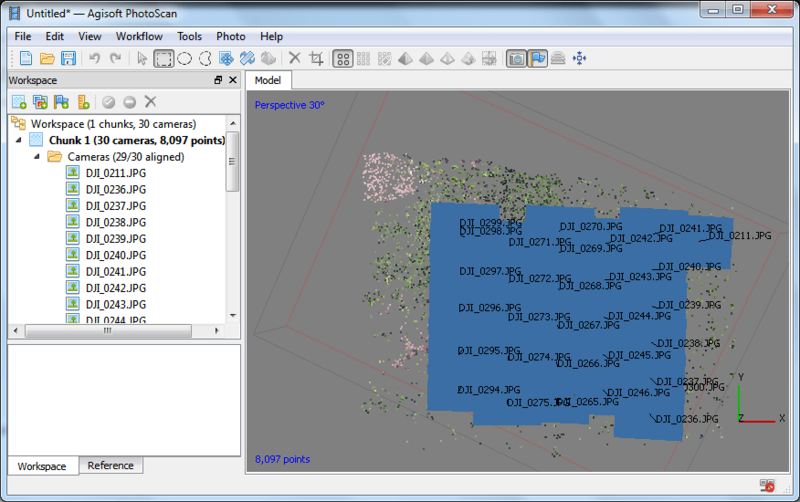 Here I will show you step by step to create Orthophoto using Agisoft Photoscan Professional. I am using Agisoft Professional version 1.2.0 full version. In order to have a good Orthomosaic photo, we need several photos which has geo information on it. For example, I am using DJI Phantom 3 Professional to take pictures over an area. The pictures then processed using this Agisoft Photoscan Pro. First create a new project. Next add your photos to the project via Workflow | Add photos. After the photos were added to the project, you can see the photo layout. You can add more photos or remove the existing. 2. Next is to align the photos. 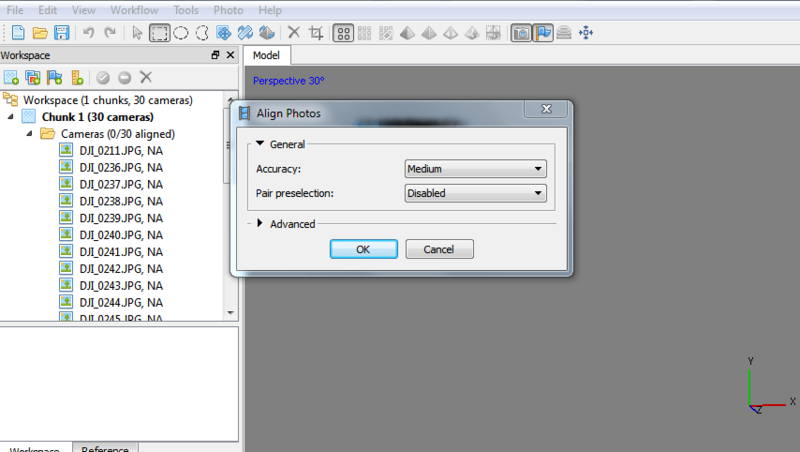 Go to Workflow and select Align Photos. This process will take a long time depends on how many photos you loaded. 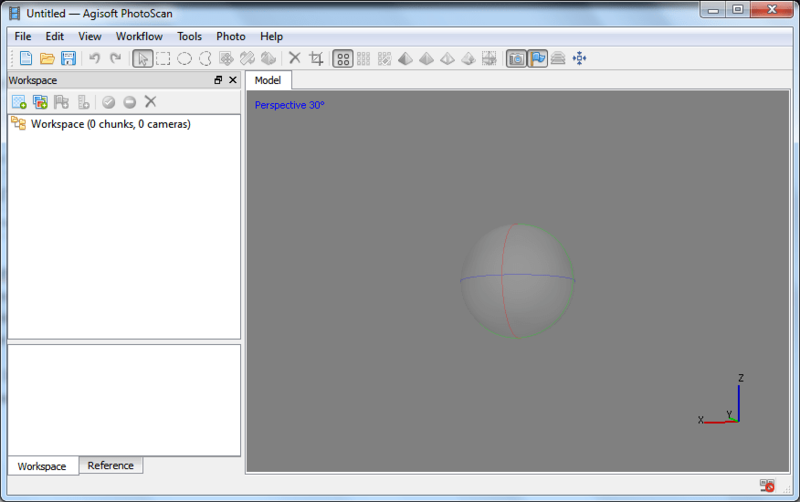 You can select the accuracy from low to high. Higher accuracy needs more time to complete. Now we need to create DEM. Go to Workflow | Buil DEM. 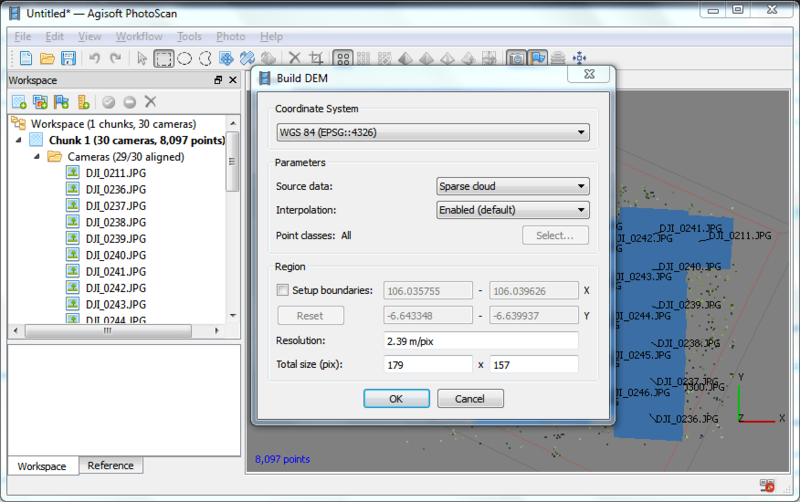 You will also need to select the Coordinate System. Usually, this is automatically selected based on your photos metadata. Change the resolution, source data and some other settings. Leave it as default if you don’t know what to do. After this step, you should see the DEM listed on the left panel. 4. Now create the Orthomosaic via Workflow | Build Orthomosaic. 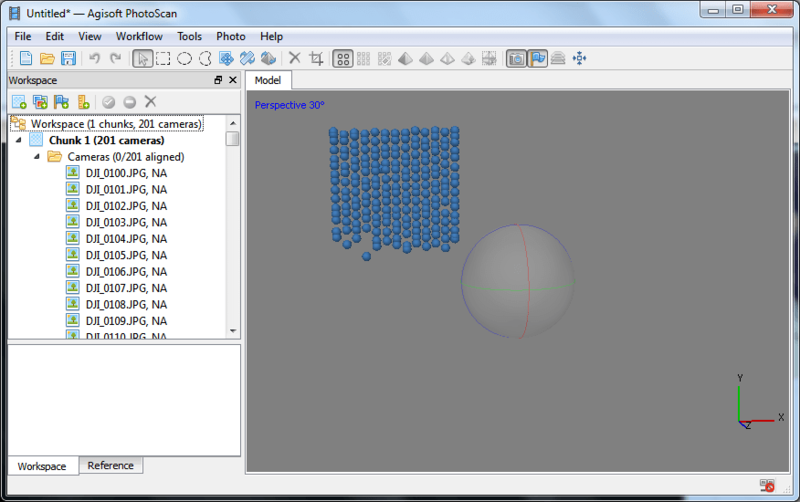 Select the projection, select DEM from the Surface parameter, Blending mode (leave it as default), pixel size. Just for your information, if you are planning to open the Orthophoto on the Google Earth, make sure you are not creating too high res for this image. Google Earth has limitation and cannot display the very high resolution. 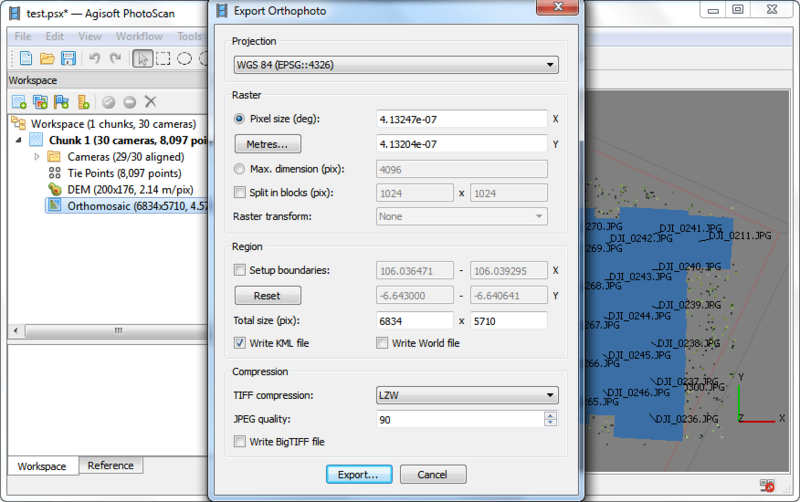 I don’t know exactly the maximum size but I always create max dimension (pix) = 6000. Press OK to start the process. 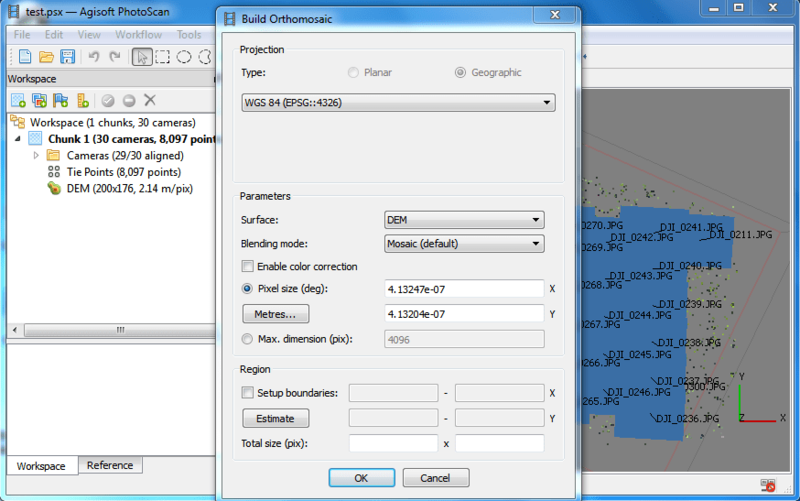 Once finished, we can start exporting the Orthomosaic to other format such as GeoTiff. Specify the output location and file type. and you are done. 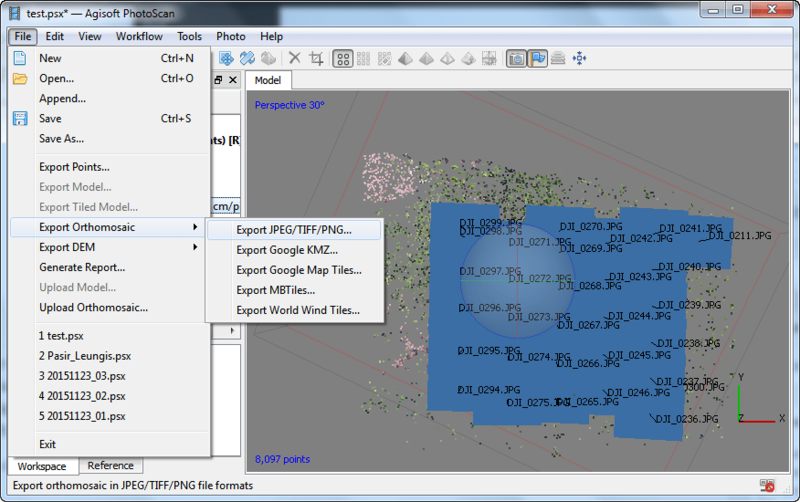 This export menu has an option to write KML file which can be used in Google Earth directly.